Don't Call Me a Saint? Yesterday, the United States Conference of Catholic Bishops enthusiastically endorsed the canonization of Dorothy Day, the American-born co-founder of the Catholic Worker movement. Day’s “cause,” as it is known in church circles, was first introduced by John Cardinal O’Connor, the late Archbishop of New York. Timothy Cardinal Dolan, the current archbishop, was required under the terms of a 2007 Vatican document to consult with the regional bishops conference (in this case the USCCB) on the advisability of pursuing the canonization of Day, whose ministry was based in New York City. The bishops approved the proposal by a voice vote, after a brief discussion in which bishops praised the woman who admirers refer to simply as Dorothy. It is exciting news. If anyone deserves to be a saint it’s Dorothy Day, not only because of her decades of direct service to the poor, her critique of the systems that kept people in poverty, her heartfelt invitation of thousands of people to participate in the corporal works of mercy, and her moving writings; but also for her personal piety and generosity. The publication of her journals and letters over the last few years, which detailed her compassionate approach to everyone in her life—from her daughter Tamar to a homeless man just turned up on her doorstep--only added to her luster. Canonization will bring more millions more people to her provocative writings, raise interest in the Catholic Worker movement, and challenge believers to meditate on her simplicity of life and her lifelong advocacy for the poor and marginalized. But there is a problem. And that problem is a quote attributed to, of all people, Dorothy Day. “Don’t call me a saint,” she is often said to have said. "I don’t want to be dismissed that easily." That quote is probably the biggest barrier to her canonization. Not that it would deter the Vatican, since the Congregation for the Causes of the Saints is used to dealing with the humility of prospective saints. But the quote sets up a kind of spiritual roadblock for many of her admirers. Many believe she is a saint, but balk at supporting her canonization. Given that quote, would Dorothy really want to be canonized? Oddly, supporting her feels almost like a betrayal. Anticipating the bishops’ vote, I put that question a few days ago to Robert Ellsberg, the publisher of Orbis Books, and the editor of The Duty of Delight, Dorothy Day’s journals, and All the Way to Heaven, her collected letters. As a young man on leave from Harvard University, Ellsberg had worked with Dorothy, and served for a time as editor of the Catholic Worker newspaper. So I asked him a few questions: What was the source of that famous quote? What did he suppose she meant? What would he imagine Dorothy’s feelings to be about her canonization, hard as that might be to surmise? And, finally, how did he feel about the possibility of St. Dorothy Day? His answer is below. This afternoon, through the miracle of live-streaming, I was able to listen to in on the discussion by the US Catholic bishops about the canonization of Dorothy Day. Cardinal Dolan, who has vigorously supported the cause initiated by his predecessor Cardinal John O’Connor, was seeking an expression of approval—not for the cause of Day’s canonization but the “opportuneness” for pursuing the cause. Several bishops, including Cardinal McCarrick and Cardinal George spoke in favor of the resolution, and at the end it received a unanimous voice vote of approval. No one, I was glad to see, referred to Day’s oft-quoted line, “Don’t call me a saint. I don’t want to be dismissed that easily.” This line comes up all too frequently in discussions of Day’s canonization, with the usual implication being: Can’t you let the poor woman rest in peace? Whatever the provenance of her famous “quote”—the important question is: What did she mean? Dorothy’s own relationship with saints was anything but cynical. Both her daily speech and her writings were filled with references to St. Paul, St. Augustine, St. Francis of Assisi, and St. Teresa of Avila. She treasured their stories. For Dorothy these were not idealized super-humans, but her constant companions and daily guides in the imitation of Christ. She relished the human details of their struggles to be faithful, realizing full well that in their own time they were often regarded as eccentrics or dangerous troublemakers. Furthermore, long before Vatican II took up the theme of the universal call to holiness, Dorothy Day taught that “we are all called to be saints.” As she noted, “We might as well get over our bourgeois fear of the name. We might also get used to recognizing the fact that there is some of the saint in all of us. Inasmuch as we are growing, putting off the old man and putting on Christ, there is some of the saint, the holy, the divine right there.” In other words, Dorothy Day regarded sanctity as the ordinary vocation of every Christian—not just the goal of a chosen few. What Dorothy certainly opposed—and what saint wouldn’t?—was being put on a pedestal, fitted to some pre-fab conception of holiness that would strip her of her humanity and, at the same time, dismiss the radical challenge of the gospel. 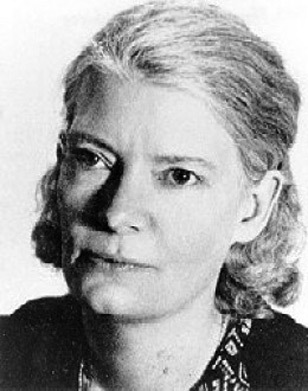 “Dorothy Day could do such things (live in poverty, feed the hungry, go to jail for the cause of peace). She’s a saint.” For those who said this sort of thing, the implication was that such actions—which would be out of reach for ordinary folk—must have come easily for her. She had no patience for that kind of cop-out. Doubtless there is now plenty of praise for Dorothy Day that would have provoked her famous scowl. She might have been surprised—and disappointed—that not a single bishop stood up to say Nay. Were there not at least a few to stand up and admit they have no use for her pacifism, her refusal to pay taxes, her general disdain for the free-market capitalist system? Cardinal Dolan, like Cardinal O’Connor before him, has addressed the question of whether her youthful bohemian lifestyle, including an abortion, render her ineligible for canonization. As he has noted, her early life, with all her acknowledged mistakes and sins, were part of the journey that led her to Christ. And in the conversion that ensued, she pursued her relationship with Christ with heroic faithfulness. As is the case with all saints, it is her very humanity that makes her such a compelling model. I was honored to be part of the initial conversations with Cardinal O’Connor, along with others who knew her, regarding Dorothy’s possible canonization. It is clear that whatever Dorothy might think about this is not ultimately important. The process of naming saints is not some kind of posthumously bestowed honor. It is more of a gift that the church bestows on itself. There is always the danger in celebrating such a gift that the church will simply congratulate itself on including such a heroic figure, name a church after her, and be done with her. But I trust that this is a gift that will continue to trouble our consciences, that will not let us rest while war, hunger, poverty, and injustice are so pervasive in our world. Dorothy believed we needed a new kind of saint. As she remarked as a child, “Where were the saints to try to change the social order, not just to minister to the slaves, but to do away with slavery?” I believe the possible canonization of Dorothy Day is an answer to that question. There are those who might try to fit her into a conventional mold. But I don’t think she will allow herself to be dismissed that easily. Frank-Fr. Martin began his post with the USCCB story. Thanks to Phil Runkel for this choice quote (and his longtime stewardship of the Day papers at Marquette). I'm getting a little tired of seeing poor Dorothy Day trotted out again and again and again. If your cause has only one saint to exhibit, it's a poor cause indeed, and your parade suffers sadly for lack of variety. Surely, there are other holy progressive exemplars waiting patiently in the shadows. Also, if you don't get her canonized soon, before all the sixties Catholics disappear into nursing homes, the momentum could be lost. Neither God nor Dorothy would mind, but what a loss to the cause! Promoting Dorothy Day as a saint does not advance evagelization. Sainthood should not be a promote popularity contest to prom secular politcal ideas such as marxism in the Church that misfrepreesent or replace the true Gospel message os salvation to all regardless of class and other arbitray social contstruct in fashion. Most Catholics are not insprired and even repelled by fashionable public sentiment and rhetoric surrounding Dorthy Day's life. Making Dorthy Day a saint is contrived. Many Catholics avoid Catholic education and "progressive" organizations becasue of its pronounce political interest well outside and beyond the Gospel message. More is being taught and promoted about idiosyncratic social and secular goals than teaching the true Gospel message. Sainthood for radicals exploits the Church to legitimize radical social and political ideas as were commonly held by Dorothy Day. The Church needs to stay out of politics and politcial movements just as Christ did. The Church should be a universal Church not a Church of radical politcal factions. Dorothy Day is no "liberal" saint, she is a Catholic saint. Her deep and unwavering relationship with God, which she found and was nourished in a the Catholic tradition, gave the direction and form to her life. In the video above, Buckley looks to me like an arrogant ideologue, full of himself. Ironic that the same bishops who generated a flimsy statement on workers' rights would endorse sainthood for Dorothy Day. The image of Catholics Workers picketing with cemetary workers during a strike in the late '40s while Cardinal Spellman's seminarian scabs dug graves is a powerful reminder about challnging the social order. It's sad that every thread in "In All Things" has to evoke a reflexive remark about the bishops. I think that Dorothy Day would also stand with the adjunct faculty's attempt to unionize at Manhattan College. I think Dorothy was more than insightful in her comment. I think she realized that the gesture in her case would be more than dismissive. Is it not ironic that a voice vote of Bishops carred this proposal while the very same Bishops in their plan for the New Evangelization opted to put the issue of Witness off to 2015-16? http://usccb.org/news/2012/12-185.cfm This is very linear thinking. First we do this, then we do that. I am sure Dorothy would have much to say on that choice and that methodology. But then, women know how to multitask. Fr. Jim, I, too, am excited about the news and thank you for posting it along with the commentary by Robert Ellsberg. Dorothy has been a model for me throughout my adult life, even though I have poorly lived up to her example. When I was a college student majoring in sociology and psychology, Dorothy visited our campus. I still have an image of her walking with a few nuns, dressed rather frumpily and wearing what we called "social workre" shoes! She was an inspiration to the nuns of the college who in turn inspired the students. Social justice has gotten a bad rap in some quarters. I wonder if it has been forgotten that are are differnt ways to attain social justice and this is a prudential matter. One of the many ways that Dorothy's life touched me, was her giving up the man she loved for her faith. What a sacrifice. Perhaps harder than lilving a life of poverty? I have read that Dorothy has been referred to as a Christian anarchist (or anarchic Christian). I'd be interested to know Mr. Ellsberg;s take on this. I wonder what she would think of our gargantuan government. She was hard on the laity. She was shocked to see women dressed in fur coats leaving St. Patrick's Cathedreal when so many poor lived in NYC. Now, when many of the Catholic laity are well-educated and affluent, what would she think of our materialistic lifestyle? As she has been a saint to me for many years, I pray: St. Dorothy pray for us. If Dorothy Day is a saint, so is William F. Buckley, Jr. The Church doesn't canonize people for their benefit. They already have a lot more than the Church can ever do for them. It canonizes them for our benefit. And Dorothy Day's strictures about not putting saints on a pedestal and forgetting them (or maybe calling on them only in an hour of our need) were also meant for us. Sainthood: "We might as well get over our bourgeois fear of the name." I love that quote! Thanks to "Saint" Dorothy and to you, Fr. Jim, for calling us all to saintly lives. Something transforming occurs when we meet the ''other,'' the ''stranger,'' the ''lost,'' and yes, the ''enemy'' as equally noble, human, and lovable as ourselves. Perhaps each of us has our own way of understanding what it means to see Christ in one another. Dorothy Day would, I believe, have each of us learn this deep truth directly from God. From that lesson flows the understandings that call us to non-violence. As our world crumbles, and if and when catastrophe falls, being ready with some of this oil in our lamps will prepare us to show love while others turn to fear-based, ideological slander and malice. Dorothy Day, Ghandi, and our most Blessed Brother Jesus, would have us be more deeply transformed. Even if the Bishops cannot bring themselves to celebrate her pacifism, or her appropriate contempt for the way the world's systems murderously devalue human life and well being, we can take hope in this recognition, I think. Not even Christ could totally remove the need to hate our life in this world, (an appropraite topic for the NCCB to explicate, perhaps), but Dorothy Day was one who showed what loving Him and His Reign truely looks like, even if some will attack her and call such attacks faithfullness.